Ora Bridge. Photo by James Chandler Photography. Plans to replace and redesign Ora Bridge have been in the works for 5 years. As this is a significant project, discussions and preparations took a great deal of time; from planning and public meetings, to bidding out the project and finalizing details with the contractor. The project has seen some delays and is now ready to begin (as soon as the weather cooperates). HFF’s role in the process began 5 years ago thanks to Fremont County keeping us in the loop on the project. Senior Scientist, Rob Van Kirk attended several meetings and provided feedback along the way. In January 2015 and again in late 2017, HFF, alongside Idaho Dept. Fish & Game, argued strongly for: 1) no disruption to fishing access, and if a temporary closure is absolutely necessary for safety, delivery of large equipment and materials, or unforeseen emergency, that it occur between July 15 and September 1, at least 24 hours’ notice should be given, and the closure should be no more than 2 consecutive days; and 2) no in-water construction prior to July 15th to protect Rainbow Trout spawning and to minimize disruption to the angling season. Now that construction is scheduled to begin, HFF is installing a water quality monitoring device (sonde) above the bridge to complement the existing sonde below the bridge, allowing us to monitor changes in water quality due to bridge construction. HFF will also conduct weekly water sampling at Ora Bridge to measure suspended sediment and validate our interpretation of turbidity values recorded by the sondes every 15 minutes. Turbidity, as measured by our sondes, is a measure of water clarity or how much light penetrates the water. Suspended sediment sampling will give us a physical measurement of the mass of actual particles suspended in the water column to help us determine what portion of that turbidity is due to sediment in the water. 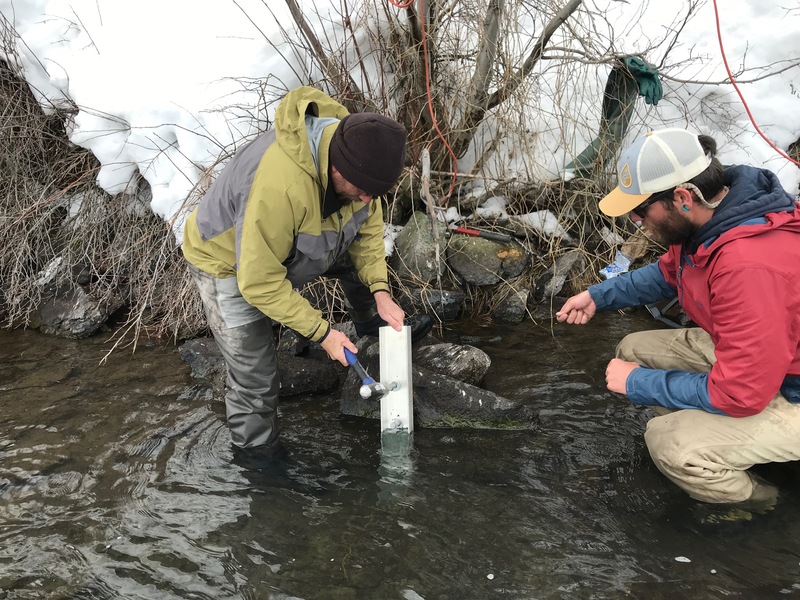 Todd (Henry’s Fork Anglers) and Matt (Henry’s Fork Foundation) install a sonde upstream of Ora Bridge, March 22, 2019. Once interns arrive in June, HFF will conduct daily site visits to look for visible sediment in the river. 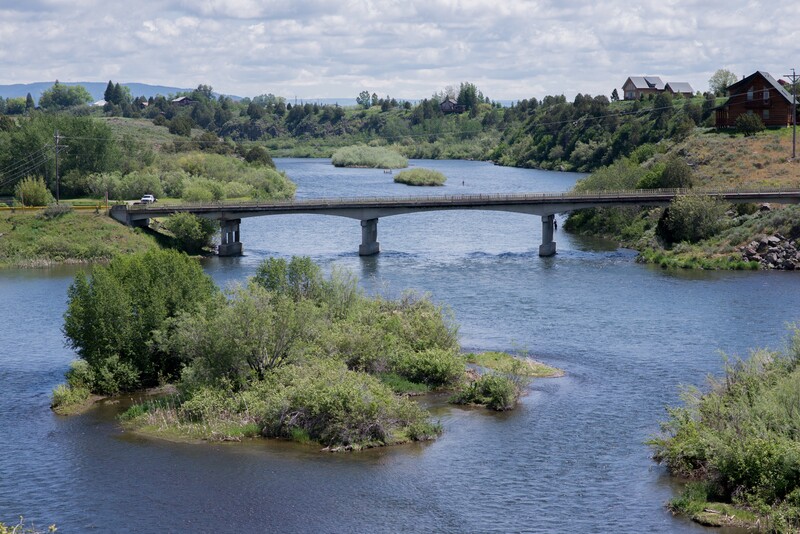 If, for example, construction is occurring on only one side of the river and there is visible sediment on river left near the boat ramp, but the water is not mixing before the river right/below bridge sonde location, we will take suspended sediment samples on the spot. Some might remember construction on Ashton Dam in 2010-2012. 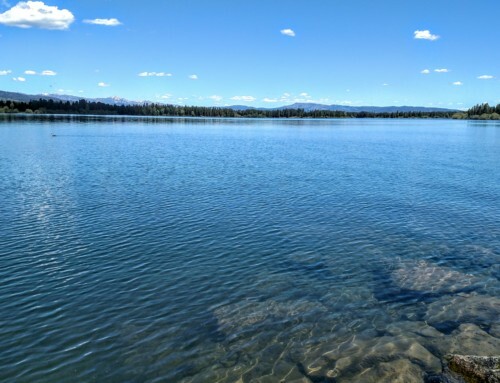 The Idaho Department of Environmental Quality standard for turbidity is that it not exceed 50 NTU above background level, which is around 2 NTU in that reach of river. Maximum turbidity values were around 80 NTU during August and September of 2011, exceeding the state standard for very brief and widely scattered periods of time. As indicated by IDFG’s trout population monitoring, the Ashton Dam construction did not have a significant biological impact on trout. 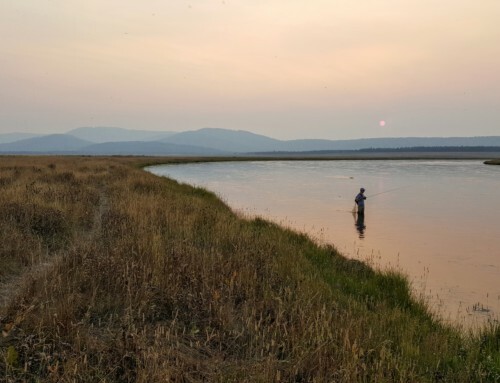 Trout population densities in the Ora to Vernon reach did not differ significantly among 2009, 2012, and 2015, which cover a time range of pre-construction, post-construction, and one full fish generation post-construction. 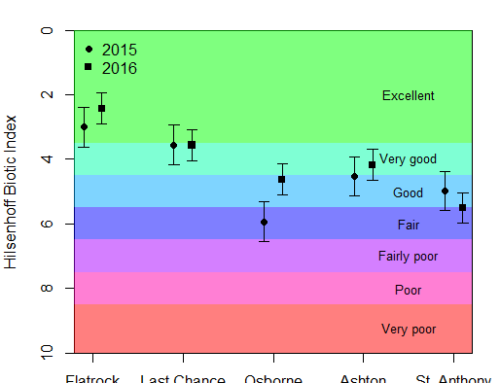 At 1,612 fish/mile, trout density in 2018 was significantly higher than in all survey years dating back to 2005. We absolutely acknowledge that the existing bridge is failing, that safety must be a priority, and that construction has to happen sometime in the spring-fall window before and after cold weather prevents construction. We are grateful to Fremont County for their willingness to protect access and the fishery, while working to update Ora Bridge. If you have any additional questions, please contact HFF at 208-652-3567 or jamie@henrysfork.org.